The Best Western Hotel Bisanzio is a traditional Venetian intimate little hotel, in a quiet location with a pleasant atmosphere and located just off one of the city's most majestic waterfront promenades, the Riva Schiavoni, within easy strolling distance of St. Mark's Square and all the sights. 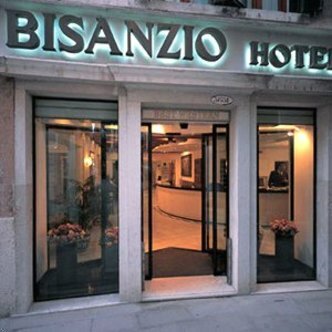 The Best Western Hotel Bisanzio occupies a completely restored 16th century palace, and all rooms are equipped with air-conditioning, satellite television and mini-bar. Managed by the Busetti family since 1969.